William & Mary is one of the top producers of Peace Corps volunteers in the nation, according to a ranking released by the organization today. The Peace Corps ranks its top volunteer-producing colleges and universities annually according to the size of the student body. With 24 William & Mary alumni currently serving with the Peace Corps, William & Mary is ranked 10th – tied with the University of Montana – among medium-sized schools, which includes institutions with 5,000 to 15,000 undergraduates. Last year, William & Mary ranked 12th. George Washington University is the top-ranked medium school this year, with 43 alumni currently serving as volunteers. American University is second on the list, followed by Western Washington University, Cornell and the University of Virginia. Among large universities – those with more than 15,000 undergraduates – the University of Washington takes the top spot with 72 volunteers. With 18 volunteers, Gonzaga University is number one among small schools, which includes institutions with fewer than 5,000 undergraduates. Alumni from more than 3,000 colleges and universities nationwide have served in the Peace Corps since the agency’s founding in 1961, including 623 W&M alumni. 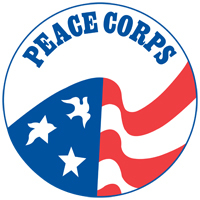 Nationally, the Commonwealth of Virginia is the eighth-highest producer of Peace Corps volunteers. This year’s rankings follow a 40-year high in applications for the Peace Corps in 2015, which followed a year after the agency enacted its historic application and recruitment reforms. The complete 2016 rankings of the top 25 schools in each undergraduate category is available online.